At Oneflow, we believe in reducing friction and adding speed in everything we do. 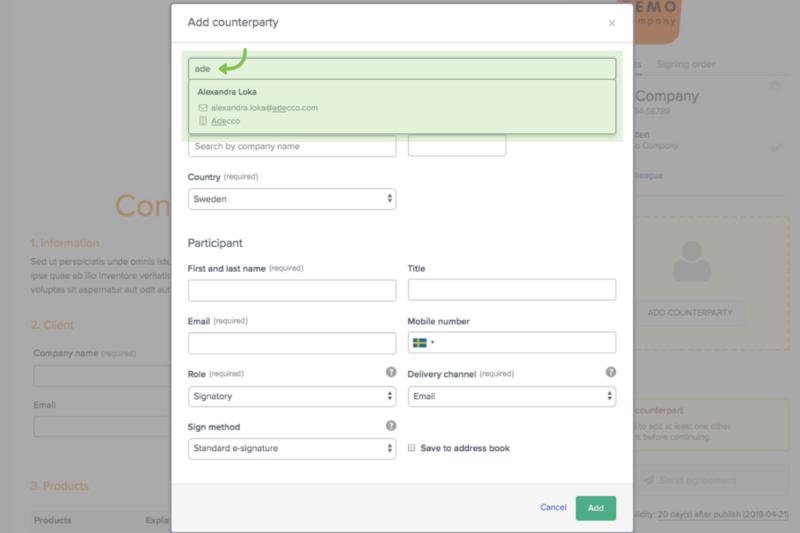 With the release of our brand new Address Book, you can now automatically add your counterparty’s contact information into a contract without manually entering the details in the fields. Consulting companies – while assigning their consultants to different projects, they can automatically populate their consultants’ contact details into the new contracts. Same goes for their customer contracts. Sales reps – no more retyping their customers’ contact details whenever there’s a new proposal to be made. Making recurring purchases – the vendors’ contact details are saved so new contracts can be created and sent with very few keystrokes. HR team – reusing employee record to sign other HR documents than employment contracts. When you are creating a contract and adding a counterparty whether it is a customer, candidate, or vendor, you see a checkbox at the bottom that says “Save to address book”. Checking this checkbox saves the contact information such as name, job title, email, phone, and if any, his or her company, registration number, etc. to your address book. 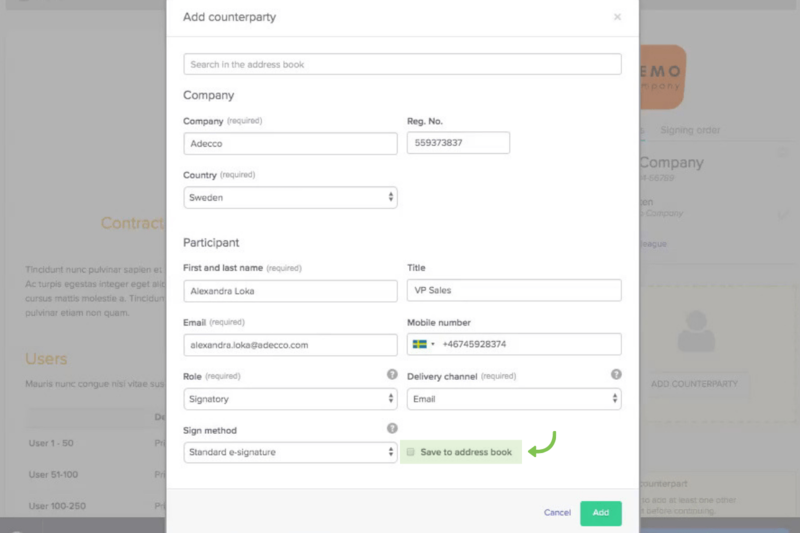 The contact details are automatically populated the next time you add the same person to a contract. a search bar on the top of the window. Start searching for the company or individual and the most relevant search results from your Address Book are shown in the drop down. Simply click on the one you are looking for and the contact details are automatically populated into the contract. The Address Book uses email is the unique identifier. When you fill in the updated details of a contact who is already saved in your Address Book, tick the “Save the address book” box and Oneflow updates the contact for you.